The literary critic and scholar Stephen Jay Greenblatt is invited to give a keynote talk at a 2014 conference on Shakespeare at the University of Tehran. He accepts the invitation, participates in the event, and writes an article about his experience in the New York Review of Books. 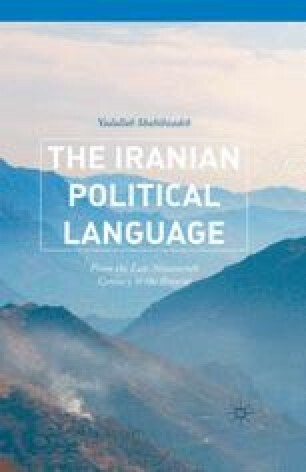 1 Greenblatt’s knowledge of Iran convinces him of the incomparability of his situation and his underlying beliefs and values with his Iranian hosts and audience. When he discovers that one of the conference initiators propagates “anti-semitism” under anti-Zionist pretenses, he becomes more convinced of the enormous gap that exists between the two situations. He thinks that he may, through Shakespeare’s mediation, bridge this gigantic gap. At the airport in Tehran, he discovers that he shares with his “anti-Semite” host the same taste and passion for particular American and European films. Thus, without Shakespeare’s mediation he finds something in common with one of his hosts. Entering the university’s lecture hall, Greenblatt realizes that the majority of the people attending his lecture are women students. Throughout the lecture, he demonstrates Shakespeare’s significance to “find a way even in difficult circumstances to be free, honest and open in talking about our own lives.” 2 Greenblatt wants to bridge the gap between himself and his Iranian audience. He tries to make the audience aware of their repressive and deceitful situation.